During the crazy week of WTM, I was invited to an event hosted by Audley Travel to find out more about the brand. 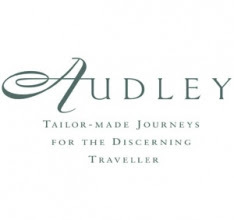 This was one blogger event that caught my interest straight away, as I love to blog about travel but I also work in travel, organising events all over the world, but had never heard of Audley. It was one of those nights where I walked away from the event thinking, 'wow, I really love this company'. Not just for their totally unique offering, but for their culture and staff. This most definitely isn't your average holiday company, in fact, they don't even like the word holiday, preferring to describe it as a journey or experience, which is much more exciting don't you think?! Everyone working at the company is an expert in their particular area, we met Mat who is a Thailand specialist and regularly visits the country scouting out the best hotels, excursions, and activities ready to come how and share his experiences and knowledge with anyone wanting to find out more about Thailand. I know from my own job that it's extremely difficult to sell a destination when you haven't been there so with everyone specialising and sharing their knowledge, it really adds a massive value to the consumer. It's not about selling package holidays to a hotel that probably hasn't ever been checked out by the provider, Audley Travel are completely the other end of the spectrum which I what I love about them. As an example of how far the company goes to offer you the most amazing and unique experience, Mat explained that in Thailand, instead of doing to a cookery school to learn how to make some local dishes, you're taken into a families home, to pick ingredients from their garden, and truly get the cultural, at home experience. Where else can you have an afternoon like that?! If you're looking for some travel inspiration, I would seriously recommend checking them out. I've already been lost on their website for hours. They also have some fabulous YouTube videos and are adding more content to their channel in the coming months. Also a shout out to Mat who took the time at the end to tell Jenny and myself all about the company. Girl, are you a travel agent?? I used to be for like 7 years too. Moved in to Experiential Events now but I miss travel so so so much. How was WTM?